J. Barton Weeks, MS, MBA, PE, a practicing structural engineer with the firm of Weeks Engineering Construction & Consulting, LLC of Birmingham, Alabama has a distinguished professional career as a consultant, teacher, and author. A recognized practicing engineer, Weeks earned degrees from Auburn University, an MS from Virginia Tech, and a MBA from Samford University. He is a Registered Professional Engineer in Alabama and Ohio, a Licensed Home Builder in Alabama, a Registered Home Inspector in Alabama and is a member of the American Society of Civil Engineers, Structural Engineering Institute, Structural Engineers Association of Alabama, National Council of Structural Engineers Associations, American Concrete Institute, American Institute of Steel Construction, American Forest & Paper Association's American Wood Council, Birmingham Association of Home Builders, National Association of Home Builders, and International Code Council. 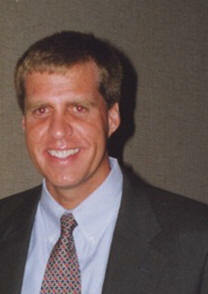 Weeks has consulted with engineers, contractors, attorneys, and owners throughout the United States and has served on several engineering users groups for computer aided structural design. Weeks has presented papers and seminars for different organizations on computer applications and structural analysis and design. Download resume in Adobe pdf format.